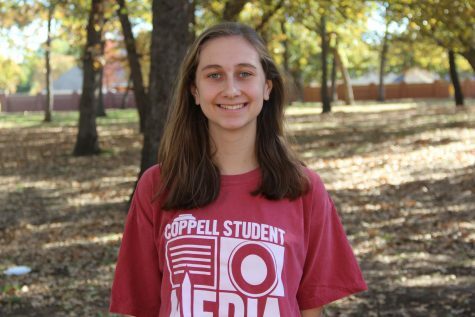 After consistently sweeping tournaments 10-0, it would seem to not come as a surprise that the Coppell High School tennis team won the area playoffs against Pierce High School with a clean 10-0 sweep on Friday. 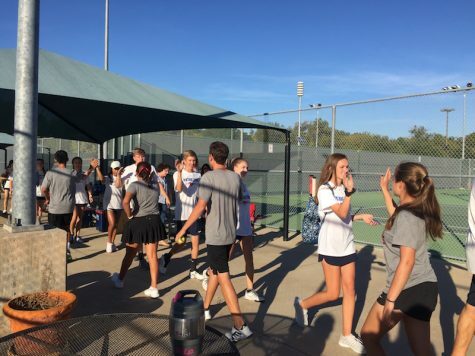 After winning the district title in area semifinal on Wednesday with another 10-0 victory, the tennis team was looking to continue that success. CHS senior Laila Kamel did well this match, especially after a tough doubles win on Wednesday. After winning her doubles match 6-0, 6-1 with Akshaya Kannan, she went on to take the lead in her singles match 6-4, 2-0 until the tournament was stopped after CHS had won 10 matches. Winning another match 10-0 served to boost the confidence of the team. Foster could also see how the win helped the players, but wants to remain cautious. “We’re happy about this, we’re on a roll but we also know that there’s a lot of really talented teams ahead of us and we gotta buckle down and play as hard as we can,” Foster said.